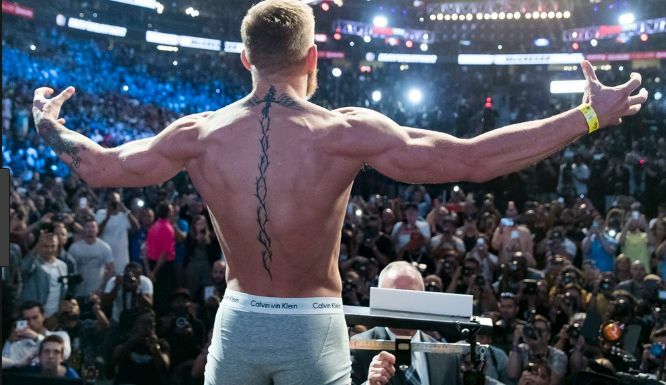 Conor Mcgregor has been at the top of the wrestling scenario since a while now. 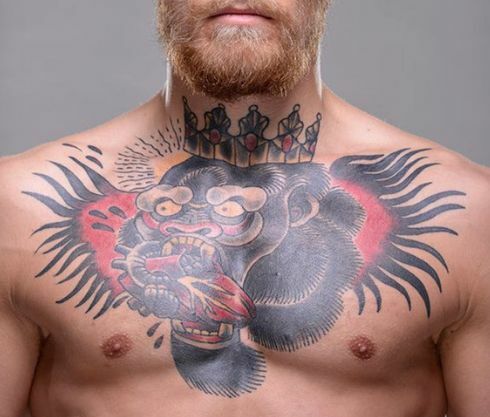 Apart from his aggressive wrestling style, he is pretty famous for his tattoos. 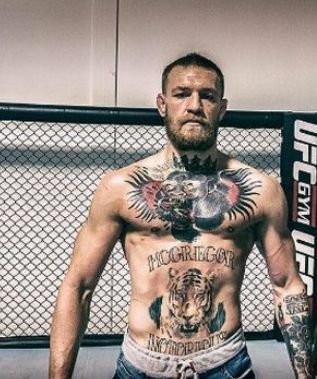 He has some impressive ink-work done on him. Let’s dive in to know more about it. 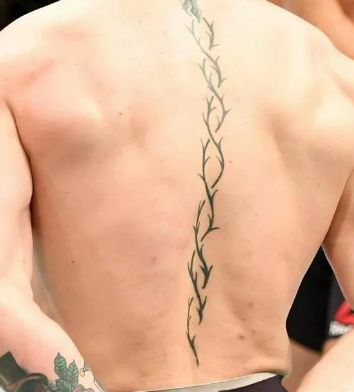 Below the crucifix, Mcgregor has a helix of thorns going towards his lower back. 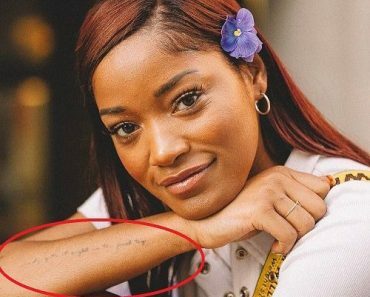 The meaning behind it is unknown though. 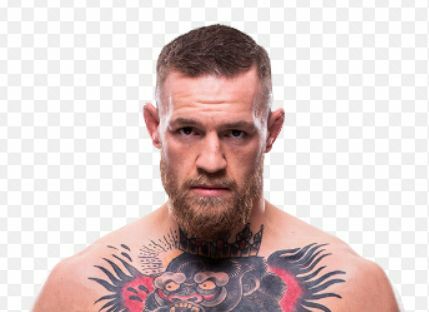 Mcgregor has a rose bush along with a clock showing 3:35 pm (although the significance of which is unknown) inked on his left forearm. 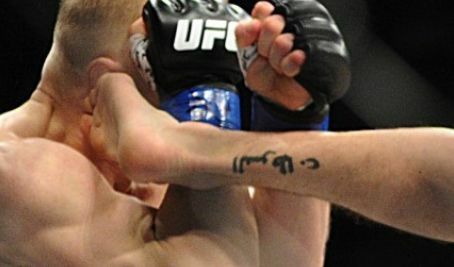 The tattoo also has a large dagger through a separate rose on the inside. 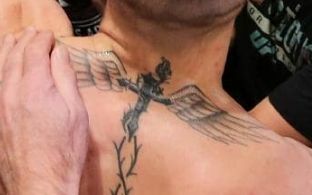 The back of the tattoo bears a figure of a gentleman wearing a top hat. 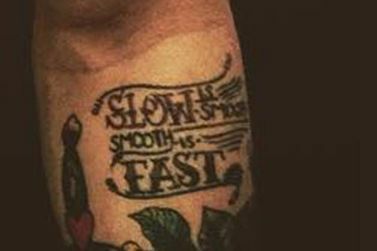 Conor Mcgregor has “slow is smooth, smooth is fast” inscribed just above the rose tattoo. 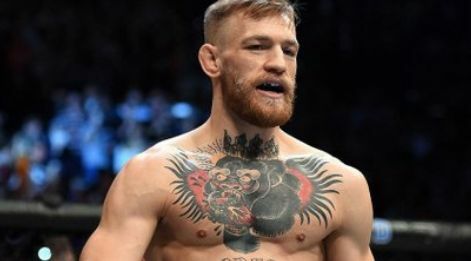 The saying is a common motto of the special training units such as NAVY seals. 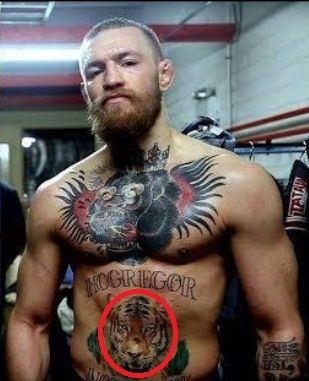 Conor has a tattoo of a tiger’s head on his abdomen. 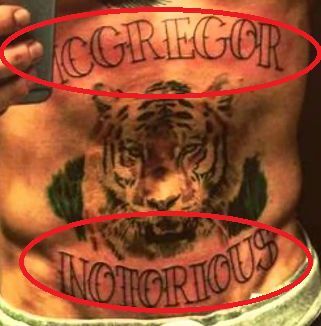 He believes tiger is a very courageous animal. He studies the movement of animals and incorporates their style of attack in his training.